Fesca, Alexander, 1820-1849. Symphonies, no. 2, D major. Andante; arr. . Andante from Symphony no. 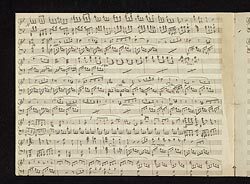 2 in D major, arranged for piano : autograph manuscript, 1843 Oct. 21.